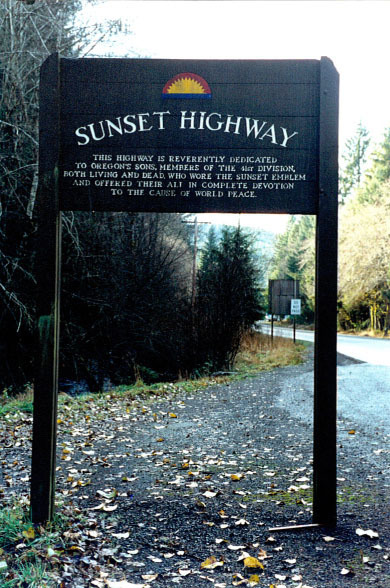 Subject:The Sunset Highway is dedicated to members of the 41st Division who wore the Sunset emblem. This highway is reverently dedicated to Oregon’s sons. Members of the 41st division, both living and dead, who wore the Sunset emblem and offered their all in complete devotion to the cause of world peace.